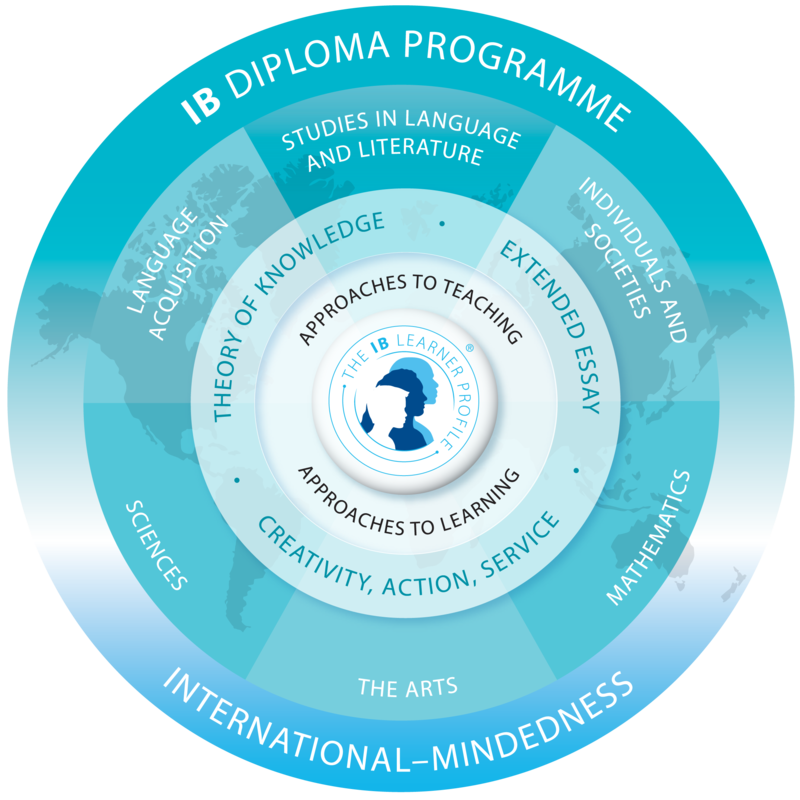 Rome International School is very proud of the IB Diploma Programme results. Our students all study towards the full Diploma and our scores have been consistently above the Global Average, enabling students to pursue their studies at the university of their choice. The IB Diploma Programme (IB DP) is an academically challenging two-year curriculum, privileged as a means to university entrance worldwide. It encourages students to become internationally minded and reflective life-long learners embodying the attributes of the Learner Profile. Students’ timetables are personalised and reflect individual subject choices. Each student in the Diploma Programme (DP) studies six subjects, at least one from the subject areas for Mother Tongue, Language Acquisition, Humanities, Sciences and Maths, and there is also the option to choose a subject from the Arts or to pick another subject from Languages, Humanities or Sciences. This enables students to study virtually any discipline at university level. In addition to these six subjects, each student completes the three core components of the IB DP: Theory of Knowledge, the Extended Essay and CAS (Creativity, Action and Service). Our students have the opportunity to choose from a wealth of subjects, taught by experienced teachers, and are also able to qualify (with the right subject combinations) for the Italian Maturità. We are currently able to offer subject combinations for the Liceo Linguistico, Liceo Scientifico and the Liceo Scienze Umane. There are certain requirements for each of these and it is important to discuss the options with the IB DP Coordinator in order to find the right fit. Creativity, Action, Service (CAS) provides the main opportunity to develop many of the attributes described in the IB Learner Profile. For this reason, the aims of CAS have been written in a form that highlights their connections with the IB Learner Profile. Subjects offered at Rome International School include, Global Politics, Philosophy, Economics, Chinese and Art alongside the standard Modern Languages, Humanities, Sciences and Maths courses. We are pleased to announce the results of this year's NACE Arts Competition. The theme of the competition is "Space" and the NACE jury was extremely impressed by the quality of the artwork submitted this year.